Traditional Viennese Coffeehouses enjoy a widespread status far beyond the country’s borders. Believe it or not, the Viennese Coffeehouse Culture has been an Intangible UNESCO Cultural Heritage for some years now. And as locals, who have called Vienna our hometown for over 30 years, could not agree more with this title. Viennese Cafés are not just places, but a way of life for us here. For centuries, these Coffee Houses have been like the second living room for the Viennese people. The best part is that time seems to stand still. Haste is a foreign word. If you want to sip your Mélange (a Viennese coffee specialty – further explained in section two) for hours, that’s totally fine, if not normal. 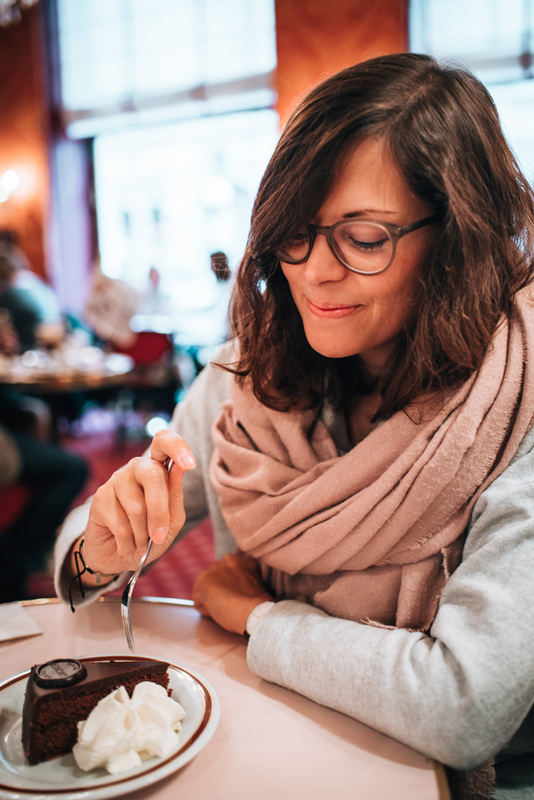 The Viennese Cafés are an oasis for coziness and the slowing down of time. 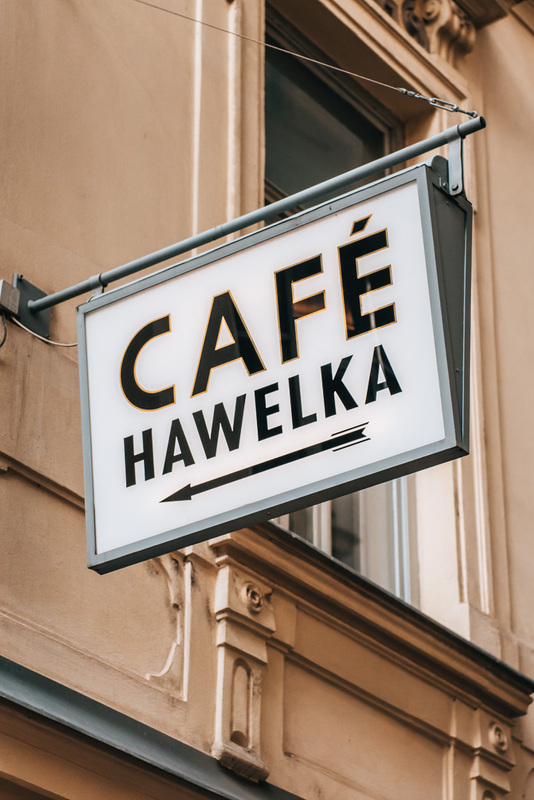 Highly praised and loved by locals is Café Hawelka. In the 50s and 60s it was a smokey Artists Café – today it is an institution near the Stephansplatz. The dark, slightly morbid charm is a matter of taste. In our eyes, no Coffee House in Vienna can match the Hawelka in terms of atmosphere. We have to tell you though, that many tourists complain about the non-existent menu and the unfriendly service. In Hawelka, there is actually no menu in a physical form. This is explained if we go back in time, when the regular guests at Hawelka would always know what they wanted to order. So, if you ask the waiter for a menu, he may respond somewhat with disdain. However, we always know what we want to order anyway: One portion of Buchteln, please! They are baked every night according to a traditional recipe and served from 8pm onwards. Unfortunately, their pride is also reflected in their prices: it costs 8 Euros for 4 pieces (the portion that you see in the photo)! We almost didn’t add Café Prückel to this list. However, the reason has nothing to do with the quality or atmosphere, but that several years ago, a homosexual couple were ‘expelled’ from the café. As a result, the Viennese people demonstrated against homophobia in front of the café. The manager apologised for the scandal, but still – in our opinion this does not justify this highly inappropriate conduct. 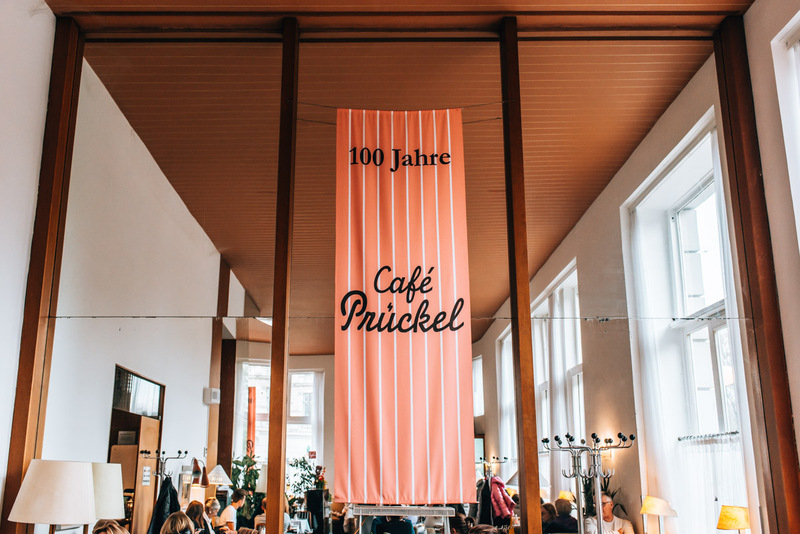 Whilst we do not wish to ignore what happened, we also have to be honest: the Café Prückel is just too charming for us to avoid forever. With its’ 50s décor and the bright, high-ceilings of the rooms, this café is totally in its own league. We love, love, love the atmosphere as much as the delicious cheese curd strudel! Warning: Touristic! The Café Sacher is probably the most famous Viennese Coffee House, but not the most authentic. You will find a long queue forming in front of the café on most days of the year, because every visitor that comes to Vienna wants to try the famous Sacher Torte cake. Sacher-Torte: We do not want to spoil any mouth watering expectations you might have of the Sacher Torte (which is probably the most famous cake in Austria), but in our opinion, it could definitely be a bit less dry. Of course it tastes good, no doubt about that. But the fame comes at a price and to enjoy a piece of Sacher-Torte, traditionally served with whipped cream – now costs 7.10 Euros. This price for a piece of chocolate cake is definitely over-hyped. In addition, they charge extortionate prices for the coffee as well. 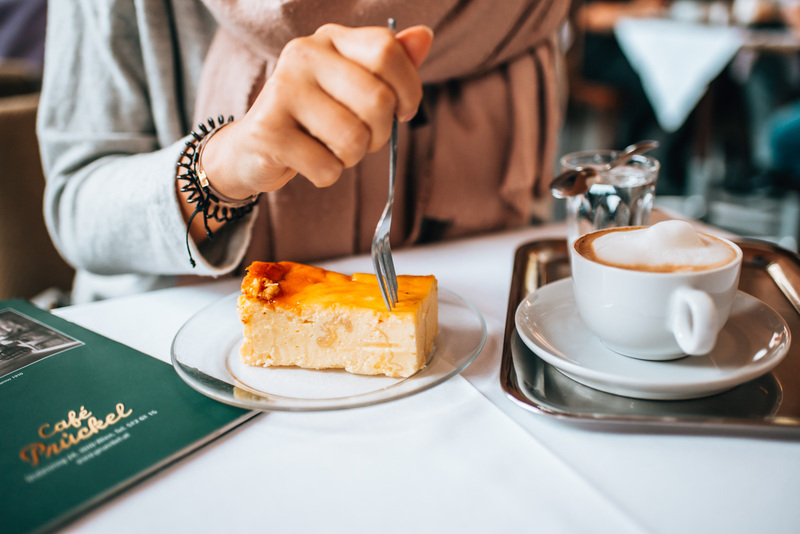 For two people: two pieces of cake and two Melange – will cost about 25 Euros – excluding tips. The atmosphere at Café Sacher is more upmarket than in other Coffee Houses. The rooms are reminiscent of imperial times with their red, velvet-covered benches. 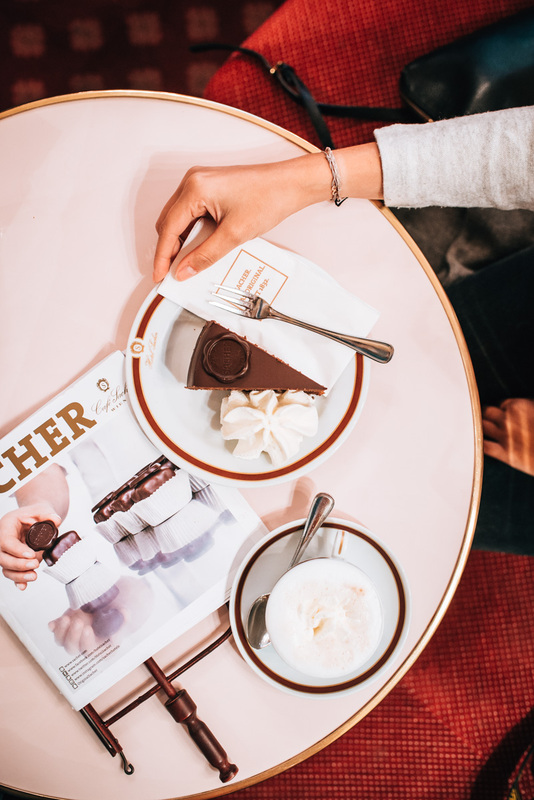 Another note: There are two different cafés which serve the famous Sacher-Torte in the city centre of Vienna – the long-established Café Sacher on the one hand and the Sacher Eck on the other. The latter was recently renovated and is now the modern version of Café Sacher. The Sacher Eck is also the right place for you if you want to take home a few of those sweet souvenirs. Although the Café Demel (or more precisely “the Demel”) is now very touristic, we still personally like the traditional and slightly dignified atmosphere very much. The Demel is best known for its pastries (hence the word “Hofzuckerbäcker” in the name). For example, if you need a cake for a special occasion in Vienna, but don’t want to bake it yourself, then the Demel is a good place to go. 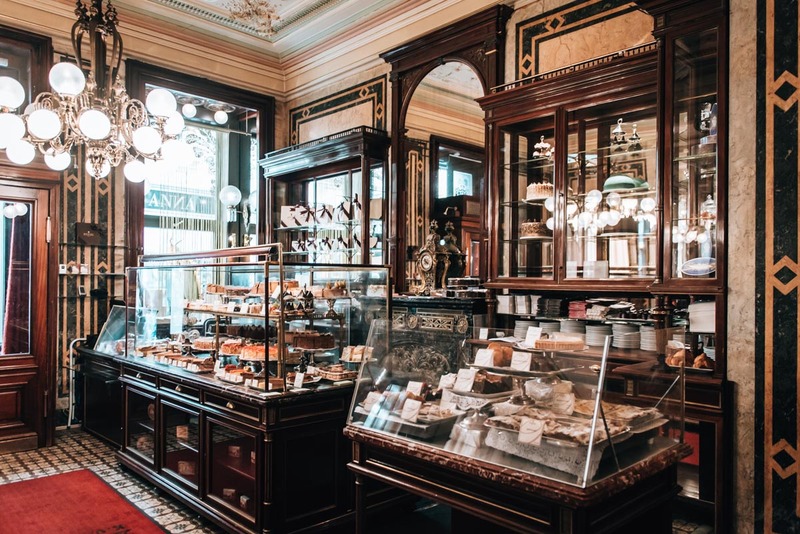 What many do not know: the Demel Café also serves the Sacher-Torte, which apparently has some historical connection with the original Sacher-Torte from the Café Sacher. However, after a legal dispute, those from the Demel Café can no longer call theirs the “original”. However, in our opinion the Sacher-Torte from here actually tastes better. As the name suggests, the Kleines Café (which translates to Small Café) on Franziskanerplatz is in fact rather petite. 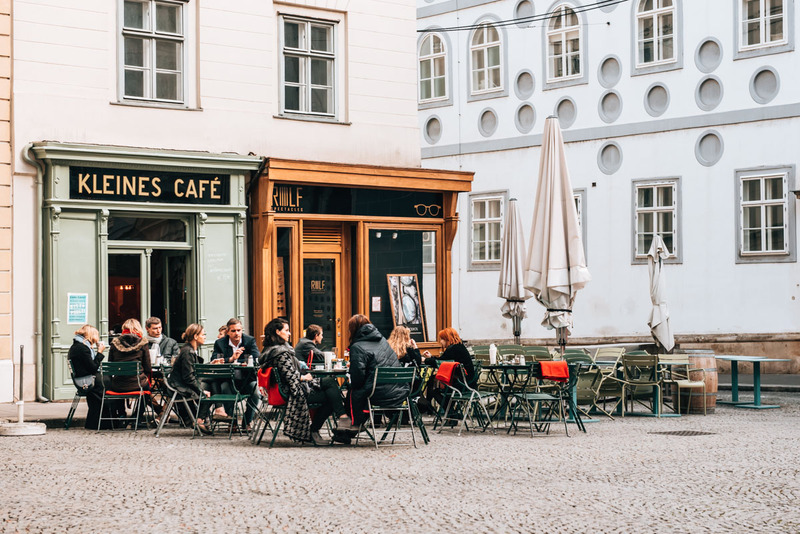 But we are not the only ones who find this charming little gem in Vienna’s city centre super photogenic – the Kleines Café on Franziskanerplatz was actually used as a film location for the Hollywood love story “Before Sunrise”. In any case, the Kleines Café has been an institution for decades and is a popular meeting place, especially in the summer months, during the “Schanigarten” (outdoor terrace) season. Even our parents meet here for coffee and good banters. Café Dommayer is one of the few traditional cafés in Vienna that is not located in or near the city centre. Strictly speaking, the café is located in the rather “posh” 13th district and is only a stone’s throw away from the Schönbrunn Palace. 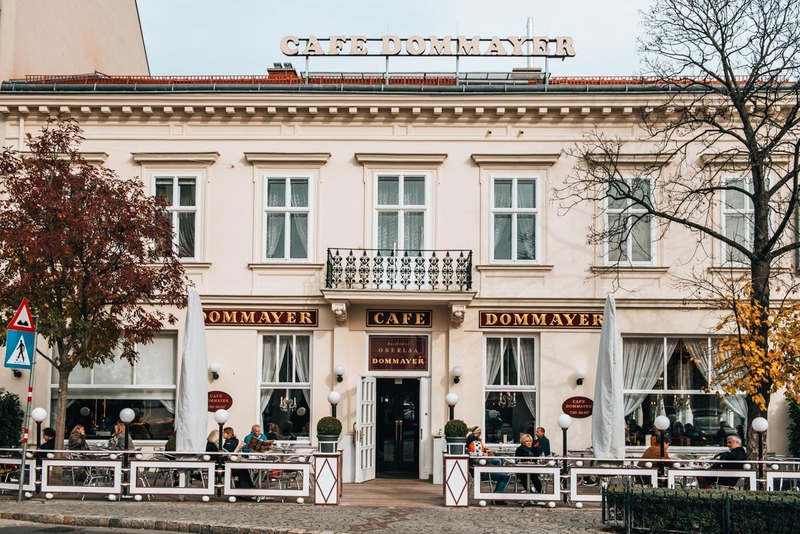 Although the Café Dommayer has been taken over by the Konditorei Oberlaa and is now actually part of a confectionery chain, it has still retained its charm. The renovated interior creates such a comfortable space. Whereas some Coffee Houses give off a slight “dingy” atmosphere, this is not the case at all for the Café Dommayer. In fact, the café is one of the more stylish and elegantly decorated cafés. 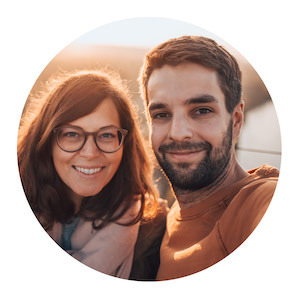 There is a huge variety amongst the guests who come here: from families taking a little break after sightseeing, to retirees, and even Asian tourists. The highlight is most definitely the garden in the back, which is often full in the summer. The prices here at the Café Dommayer would be considered upscale, although not as inflated as in the Café Sacher. For a Melange and a piece of cake, you can expect to pay about 8 Euros. As mentioned above, the café belongs to the Oberlaa-Konditorei, so the tarts and cake selections are quite extensive. Some guests also like to buy something sweet to take home with them. If you feel like something salty, then they also offer a menu, which serves Traditional Viennese and Austrian dishes. The following Coffee Houses are also worth a stopover. At some point, we will also write about these Traditional Cafés in a more detailed review. Café Central: One of the most famous Coffeehouses in Vienna, where you sometimes see queues forming in front of the entrance. What makes this place noteworthy, is the ambience created by the pillared halls. Café Diglas: Has several locations in Vienna. We really like it here and find the kitchen at Café Diglas surprisingly good! Café Jelinek: As an institution in Vienna, its upholstered furniture seating creates a very cozy living room atmosphere. Coffee Specialties: What to Order? The most important thing to note: In a Viennese Coffee House, you never order just “a coffee”. Doing so will get you raised eyebrows and glances of disbelief by the waiters or waitresses. The word ‘coffee’ is an umbrella term for a variety of coffees in Austria, and particularly in Vienna. Very pure: A simple espresso. These days, they come out of the espresso machine instead of the traditional Italian Moka. Kleiner Schwarzer is basically a short black – which is a simple one shot espresso. If you would like a double shot espresso, then you would order a ‘Großer Schwarzer’ (big/long black). An espresso, which is “made longer” with twice the amount of water. The whole thing is also available as “Verlängerter Braun” – i.e. with an extra dash of coffee cream or milk. The Viennese classic! For the Melange, a simple (often slightly elongated) espresso is infused with hot milk and then most importantly receives a dollop of milk foam. Now, we have to mention that each Coffee House in Vienna makes the Melange a bit differently. Most Viennese are of the opinion that whipped cream has no place in a Melange. Nevertheless, there are some Coffeehouses in which the Melange is indeed served with whipped cream – such as in the Café Sacher. While some Melange might taste milkier, others might taste more bitter – you never really know exactly what you’ll get. The origin of Cappuccino is suspected to have come from Italy, however: The word “Cappuccino” is supposedly derived from “Capuchin”, which was once the name for an espresso with whipped cream. Today, the Cappuccino is found in many traditional Viennese Coffee Houses on the drinks menu. Just like the Melange, there are a variety of ways to prepare this. While some Coffeehouses serve the Cappuccino with whipped cream (Cappuccino con Panna), others prepare it in the Italian way with milk foam. In some cafés, Melange and Cappuccino are also used interchangeably. The Franziskaner is similar to a Melange, but is served with a dollop of whipped cream instead of milk foam. Believe it or not, this was just the beginning! In many Cafés, the coffee menu extends over an entire page, with some quirky specialties involving rum, cherry cocktail or liqueur. How interesting, is that? The nicest thing about Viennese Coffee House Culture is that: time does not matter. You can talk to friends for hours without feeling pressured to constantly order something. This cafe ‘culture’ goes way back in time. These Viennese Coffee Houses have always been somewhat of an extended living room to the Viennese locals. That is why in every Viennese Coffee House, there is a table for the daily newspapers – usually on a newspaper stand. Many people who come to Vienna love to simply read and chill in these cozy Coffeehouses. Normally, you will always get a small glass of tap water (“Leitungswasser”) with the coffee you ordered. The special thing about this is that the coffee spoon is placed faced down on the glass of water – and this tradition actually has a historical background. It used to be frowned upon for the nobility to lick the spoon, which is why it was dipped in a glass of water instead. Of course, nowadays, the tap water is used to maintain hydration after enjoying your coffee. If you read through the reviews of many Viennese Coffee Houses, you will often come across many remarks about “unfriendly service”. In Vienna, we have a certain word for the mentality of the waiters: “grumpy”. The fact that the waiters give you a grumpy impression is somehow part of a visit to a Coffee House. As a Viennese, you get used to it, because this “grumble” is part of the culture – which is very sarcastic, sometimes macabre and rather difficult for first-time visitors to understand. The umbrella term “Viennese Schmäh” best fits best this mentality. A conversation between Viennese never ends without sarcasm or irony. That’s something that leaves most visitors a little confused and often leads them to misunderstand such remarks. But among the Viennese, we usually understand one another. However, we must say that some waiters really are just downright rude and very unpleasant. 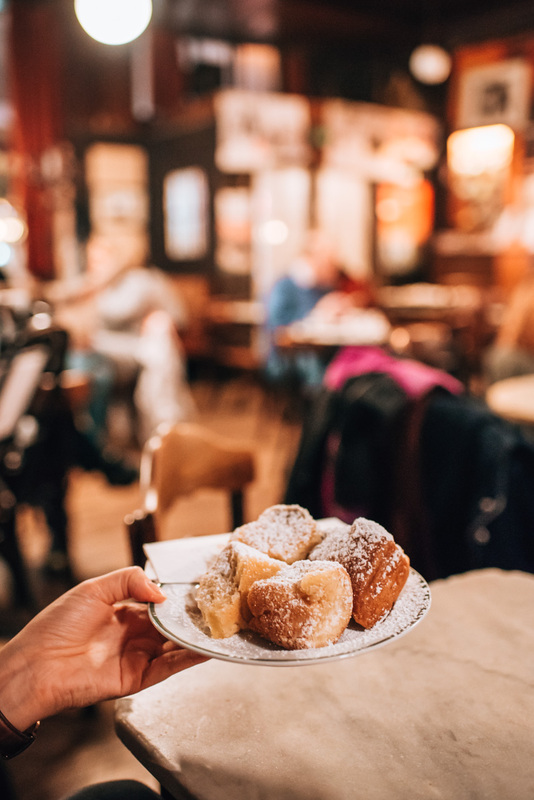 Have you ever been to Vienna and visited one or more of Vienna’s Traditional Coffee Houses? Tell us about your experiences or leave us your tips – we look forward to reading them! We visited Café Central and the café at Schloß Belvedere in January. The service, food and ambience in both cases was wonderful. I think the grumpy waiter thing must be a complete myth as both of our waiters were absolutely charming. Can’t wait to go back !